Third offering of the year by producer Sajid Nadiadwala, Dishoom has reported good performance in the opening week and emerged as ninth highest grossing movie of the year so far. Being good star powered, John Abraham, Varun Dhawan and Jacqueline Fernandez starrer this action-adventure has been released with good buzz among audience as expected witnessed satisfactory performance. Unfortunately Dishoom has not received much positive reviews from critics but the favorable reaction of audience dragged it to the safe side. With this, the production house Nadiadwala Grandson Entertainment has hit the hat-trick with three successful movies in a row. 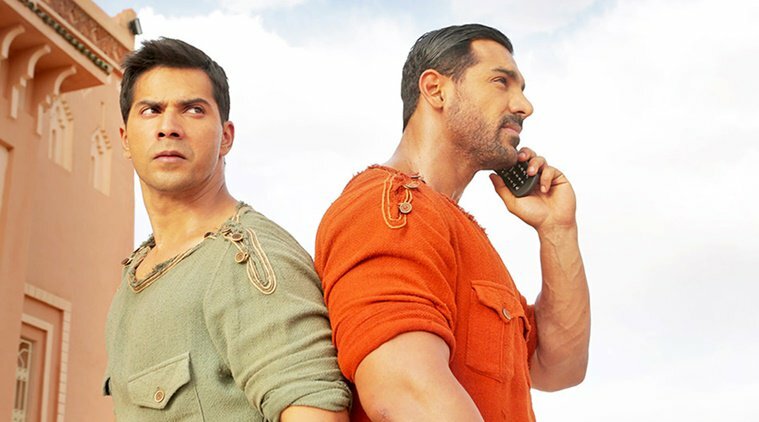 In the opening week, Dishoom recorded almost good occupancy and did the business of 53.34 crores with 37.32 crores of weekend and 16.02 crores of weekdays on domestic box office. From the overseas market too, it reported quite good business and minted the amount of 20.06 crores in a week. Now the movie is running in its second weekend and heading with decent pace as the new releases of this week have no hype among audience. On Friday, Rohit Dhawan’s directorial raked the business of 2.30 crores and made its 8 days total as 55.64 crores. On the next day i.e. Saturday being weekend, Dishoom reported decent growth in its occupancy and as per report, added the amount of around 3.40 crores to its account. With this, its 9 days total collection has become 59.04 crores on domestic box office.